More than just a festival! 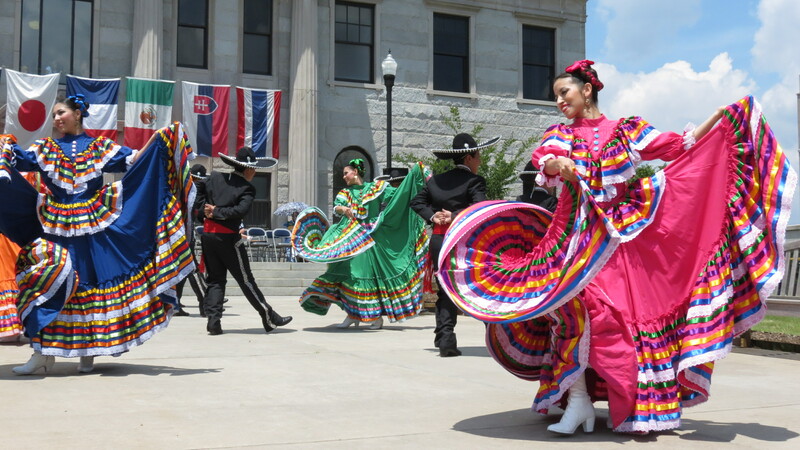 As the official International Folk Festival of North Carolina Folkmoot showcases culture and heritage from around the world every July to be enjoyed by visitors and locals alike. Folkmoot stands for the “Meeting of the People” and rightfully so as the festival brings international groups together to create a melting pot of shared cultures. Most often you can find the groups sharing not only their music and dance, but other customs and traditions. Over 100,000 people attend the events each year. You will find festival favorites at concert halls and auditoriums across Western North Carolina, but also more activities that allow for your participation. From community members playing in the international band, dance lessons on Main Street, Camp Folkmoot for kiddos, Cultural Conversations panel discussions, community dinners at local churches, educational partnerships with Rotary International, Western Carolina University faculty and Haywood County Schools music programs, Folkmoot is building new opportunities for our communities and international guests to experience and celebrate culture.